Hong Kong’s top experience platform, Spoilt has acquired the brand and all operations of former fellow operator, Red Packet. Combined, the new group will offer over 300 experiences in Hong Kong and around the region and will form Hong Kong’s number one experience gift platform. “After almost 5 years of building the business into a leading gift experience company in Hong Kong, we saw an opportunity to capitalize on what we have achieved by selling to a strategic partner whom we knew would further enhance the business”, says Gerard Belicha Co-Founder and CEO of Red Packet. “A key element for us in our decision was that the party to who we would sell be as passionate, committed to its corporate clients, experience partners and retailers and driven to ever improving the value we bring to our various stakeholders, in Spoilt we found exactly that”, says Gerard. “The opportunity to acquire Red Packet is an exciting development for Spoilt. This move brings together Spoilt’s strength in e-commerce of experience vouchers and Red Packet’s retail distribution network to offer our customers and experience partners a much wider distribution base” says Michelle Lam Founder and Managing Director of Spoilt. “On the B2B front, the team behind Red Packet brings an extensive background in corporate reward programmes. Bobby Wong, from Red Packet, will be joining the Spoilt team as Corporate Sales Director. Along with Spoilt’s event management service in providing unique team building and corporate entertainment events, we will be able to offer a full suite of corporate services for employee rewards and customer loyalty campaigns” says Michelle. With Koziness’ acquiring its competitors last week, this makes two new and stronger consolidations in the Hong Kong market in the past couple of weeks. Founded in 2010, Spoilt Experience Gifts is the premier provider of unique experience gifts in Hong Kong. Spoilt Experience Gifts offers experience vouchers for over 100 experiences in the categories of water, flying, driving, gourmet, creative, outdoor on their website. 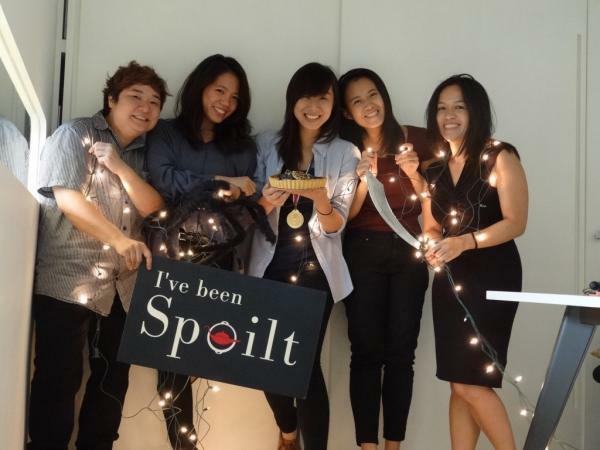 Spoilt Events, a service launched in 2011, is a professional event management service focused on creating unique corporate entertainment and team building events. Red Packet offers a range of corporate gift experiences tailored for corporate reward programs. Red Packet offers a unique range of experiences across gastronomy, sport, entertainment and discovery, which will suit all personalities. Red Packet Gifts are perfect for all corporate occasions whether for employee rewards or for a wider customer loyalty campaign. Cyberport Invites You to Join //Build/ tour in Hong Kong!